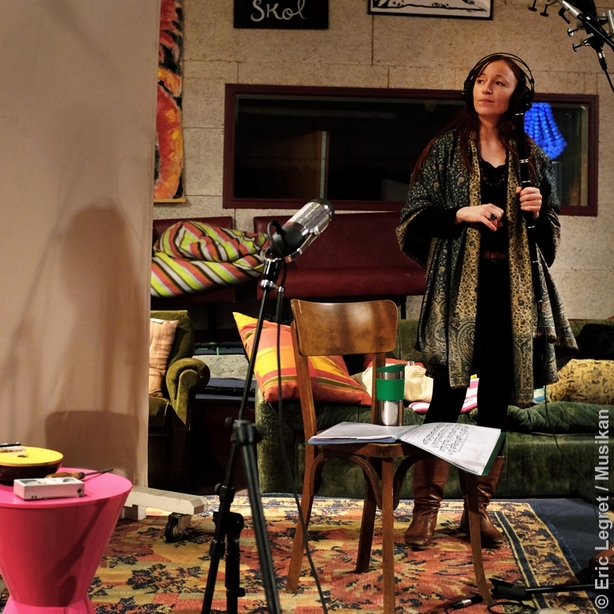 Via Trad Connect: Dominique Bommel, founder of Bemol Productions, a French label specialising in traditional music has just released La flûte traversière en bois, an album by Anne Girard Esposito. With strong Irish influences, Anne says that the concept for this, her first recording, was “to produce a sober atmosphere, homogeneous and quiet, like a story she might tell about her flute and their travels together.” Opening and closing with a simple Breton theme in recognition of her life’s journey (thus far) and her times spent dancing in festoù-noz all around Brittany, the tale is told through a varied selection of traditional Irish material, Anne’s own compositions, those of other traditional musicians, Scottish tunes, a Polish melody - all illustrate or reflect essential aspects of her chosen instrument and her life experiences. The programme is intimate, personal and sensitive, its atmosphere closer to that of an evening around the fireplace, listening to stories and songs, than to that of a live concert. This is the fifth of a series called Un instrument – un artiste released by Bommel Productions. The main idea of the series is to offer young musicians the opportunity to record an album focused entirely on their instrument, its own sound and its repertoire. 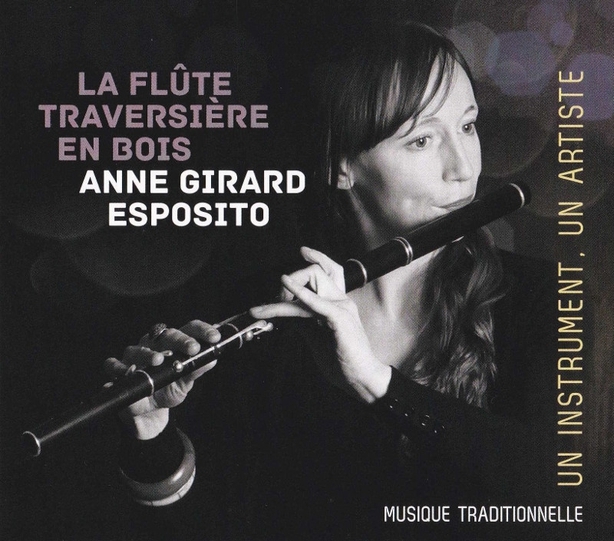 It is a condition for inclusion in the project that at least half the tracks on each album must be for the featured instrument unaccompanied - that is how Anne Girard Esposito, together with her supporting musicians and the sound engineer Aurélien Tanghe, conceived and recorded this album showcasing the wooden simple system flute. A classical musician from a young age, Anne instantly fell in love with the wooden flute when she heard a Frankie Gavin album at the age of 14. Having searched local antique and flea markets in her native Jura area for a suitable flute fruitlessly for years, eventually, when she was 22, she acquired a good instrument and dedicated herself to it passionately (whilst also studying literature). To begin with, she learnt on her own, practicing Irish music by playing along to CDs in her bedroom. Later, she was fortunate to be able to travel and to learn from great Irish flute players such as Paul McGrattan, Harry Bradley, June McCormack, Barry Kerr, and from influential Breton flute player Jean-Michel Veillon. 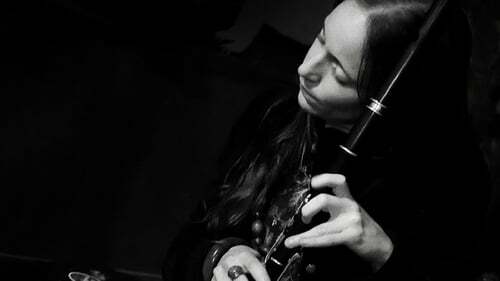 Anne cites Belfast player Desi Wilkinson's flute recordings as being particularly significant for her, and she also feels she takes many influences and much inspiration from traditional singers from various parts of the world. She has lived and worked in Brittany since 2009. Anne’s collaborators are experienced, talented musicians who have participated in assorted bands and traditional music projects in France: Julien Biget, guitar & bouzouki (La Bergère), Janick Martin, accordion (Hamon Martin Quintet), Guillaume Vargoz, bodhran; andPierre Stéphan, violin (E-Leizh). La flûte traversière en bois is available via Anne's own website. For all your latest traditional music news visit Trad Connect.